We are going to start our outdoor spring and summer events with a picnic and tour of a picturesque charming town, known for its rich history, scenic vineyards and Southern hospitality. 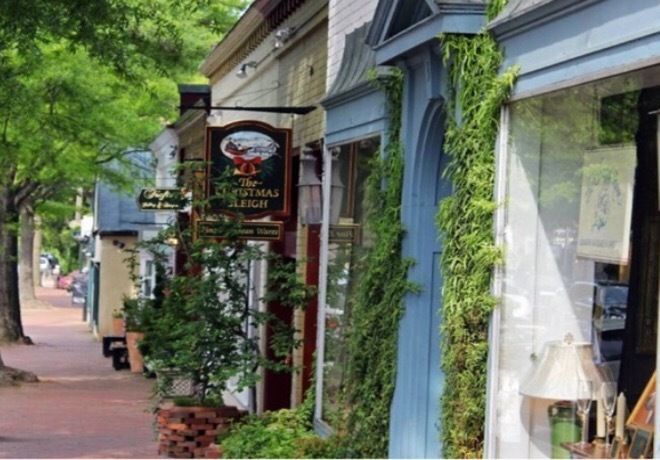 We have chosen Middleburg, a quaint town known for polo, wine bars and a historic country inn for our spring picnic and a pleasant walk through its historic and charming city center. We will start our afternoon with an outdoor picnic at Chrysalis Vineyards which has the largest planting of Norton grapes, besides vinifera varieties which include the French Viognier, Petit Verdot, Tannat, Fer Servadou, and Petit Manseng; the Spanish Albariño, Tempranillo and Graciano. You can bring your own picnic or choose from their selection of local cheeses, salami, olive oil dip, olives, fresh baked baguettes and more. After our picnic we will explore Middleburg's historic district, which is less than a mile long, but filled with many unique stores. Some of the places on our itinerary are the historic Red Fox Inn & Tavern, Mt. Defiance Cidery & Distillery, and local favorite, Middleburg Common Grounds. Middleburg formerly known as 'Chinn's Crossroads' was a property that belonged to Joseph Chinn, a cousin of George Washington. Middleburg was established in 1787 by American Revolutionary War officer John Level Powell who purchased the property from Joseph Chinn. It was named Middleburg because the town was halfway point between Alexandria and Winchester along the Ashby Gap trading route, which has become Rte. 50 today. It was an overnight resting stop for travelers along the route. By the second decade of the 20th century, Middleburg assumed a new identity as a social and equestrian center. It became a popular destination for foxhunting and steeple-chasing. Middleburg has a diverse collection of late 18th to early 20th century architectural styles, built with stone and brick. 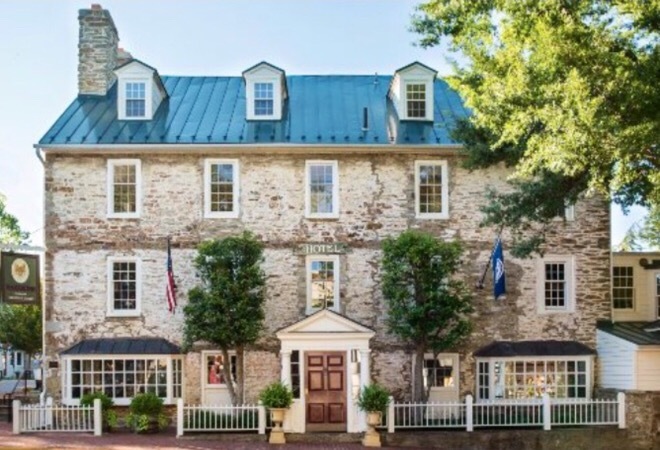 The town is known for its historic Red Fox Inn & Tavern originally established circa 1728. Red Fox Inn Tavern was established circa 1728 with additions and remodeling dating from the 1830s, 1850s, 1890s and the 1940s. The architectural style of the inn is the Federal and Colonial Revival. It is thought to be one of the oldest continuously operated inn in the United Sates. Mt. Defiance creates handcrafted, classic and craft spirits with a focus on the revival of classic spirits, that have their roots in both Colonial America and Europe, as the English settlers in America brought with them a love of hard cider. Cider has been made in different regions of the United Kingdom where cider apples were grown since Roman times. They offer Apple brandy and have different varieties of cider including the traditional farmhouse blends and different infused ciders ranging from honey, pepper to blueberries. At some point during our tour, we will make a stop at a local favorite coffee shop, that also serves wine and beer, soup, as well as breakfast sandwiches all day. 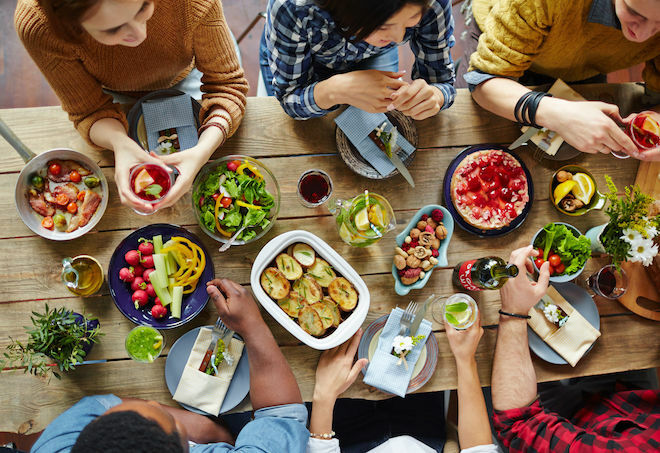 Description: Spring picnic and tour of Middleburg's historic district.